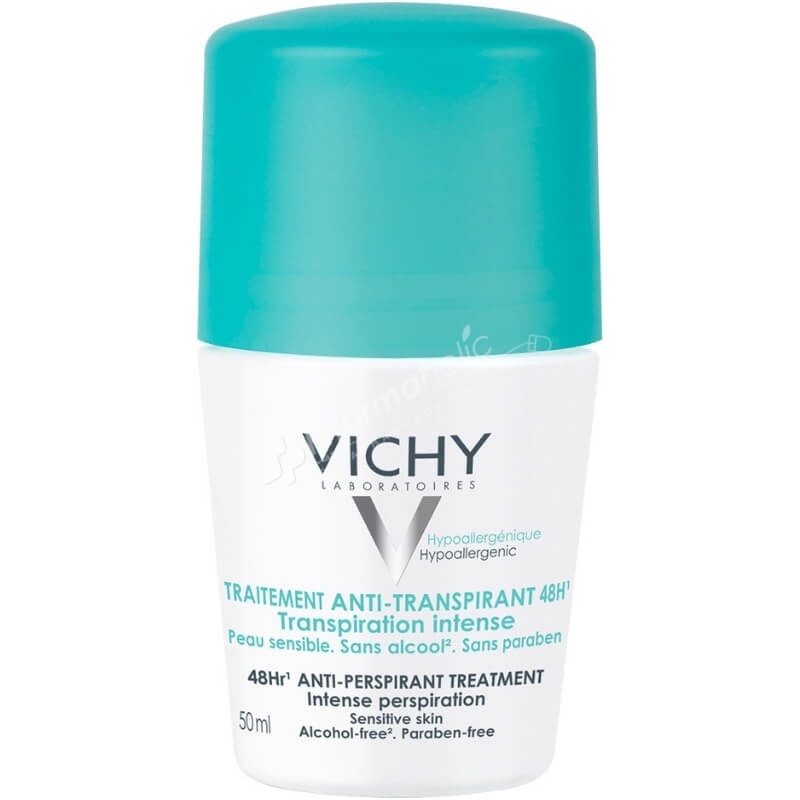 Vichy 48Hr Anti-Perspirant Treatment Deodorant Roll-on works to neutralise odour without harsh alcohol, or staining clothes. Suitable for intense underarm perspiration, and provides protection for up to 48 hours. Protect sensitive skin with the Vichy 48hr Intensive Anti-Perspirant Roll On: a breakthrough formula that intensely prevents underarm perspiration for up to 48 hours.